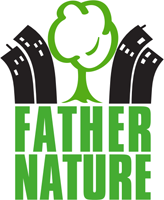 This time last year Father Nature were commissioned by Lambeth through the Neighbourhood Enhancement Programme (NEP) to tackle fly-tipping, careless parking and driving as well as sites of antisocial behaviour in the borough. 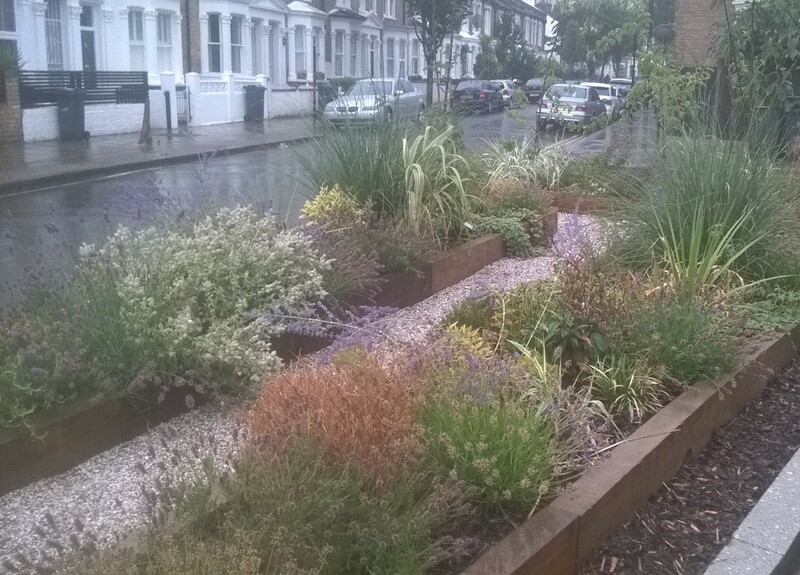 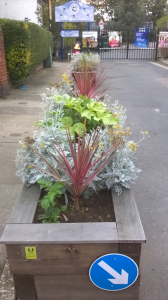 Father Nature immediately set to work on what we called our 'Beds not Bollards' campaign, building planters and working with communities to make their street not only safe and beautiful but a great place for people to come together through gardening and growing their own food. 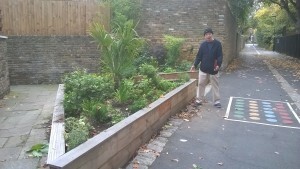 To find out how it all got started see here. 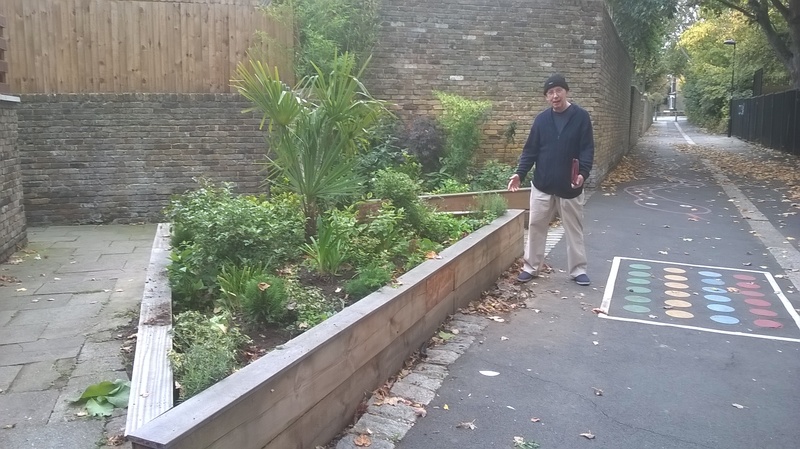 One year on, the campaign has proved a huge success - littering is down, road safety is up and a whole new generation of Lambeth gardeners has been born. 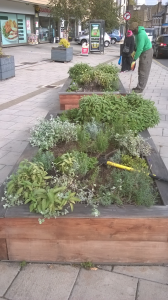 In the last couple of weeks, Father Nature has been visiting many of the NEP planters to do some weeding, and plant bulbs and wild flowers, where requested, for the spring. 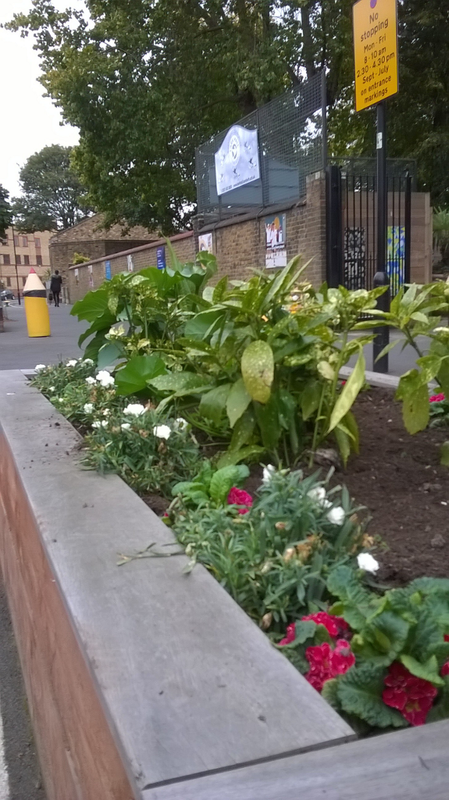 We've been delighted to find that nearly every bed we've visited is in great shape, full of thriving flowers, herbs and veg planted and tended by local residents. 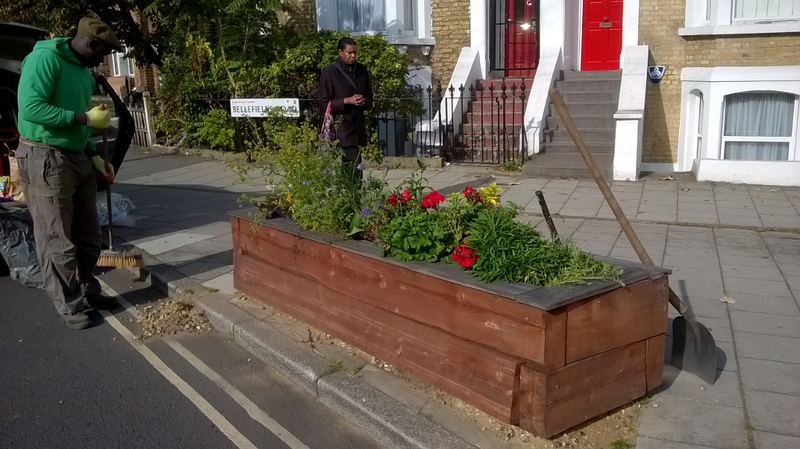 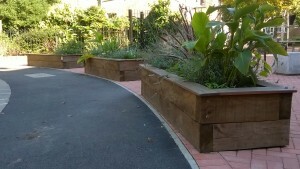 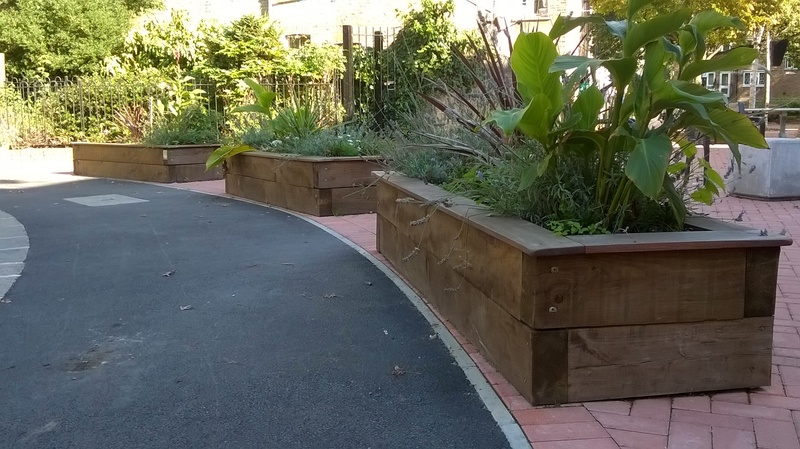 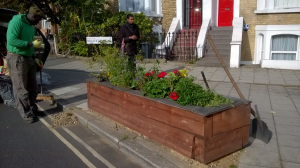 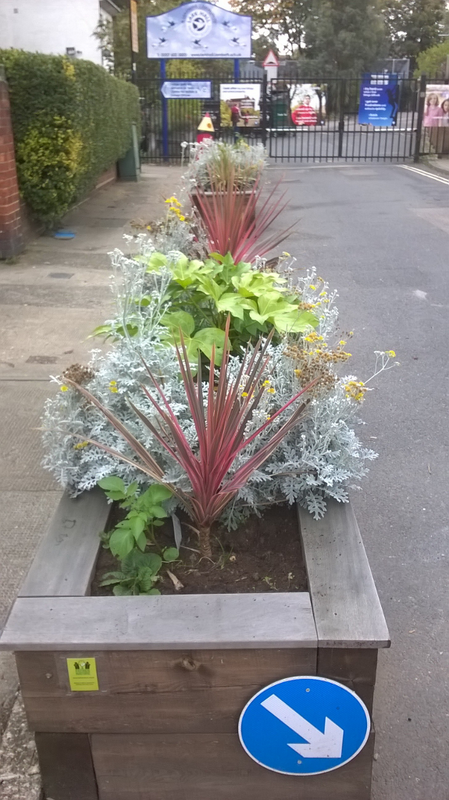 These planters are a testament to people power and a clear sign that community gardening projects add local value and provide creative, healthy, low cost solutions to significant social and environmental challenges.